Readers Question: If the government has a national debt, why doesn’t it just print more money and pay it off? The problem is that printing money would cause inflation and effectively reduce the value of money. If you print more money the number of goods and services will stay the same, you just have more money. Therefore people will be willing to spend more cash for the same limited number of goods. Therefore, the price of goods would simply rise. An analogy: Gold is valuable because it is limited in value. If the supply of Gold increases, it would simply reduce the value of a certain sized piece of Gold. There is another problem with printing lots of money. People who bought Government debt – in effect those who lent the government money, would see a fall in the value of their bonds. If there was hyperinflation the value of the bonds would become worthless. Therefore, people would be unwilling to lend money to the government in the future. This scenario actually happened in Germany in the 1920s. 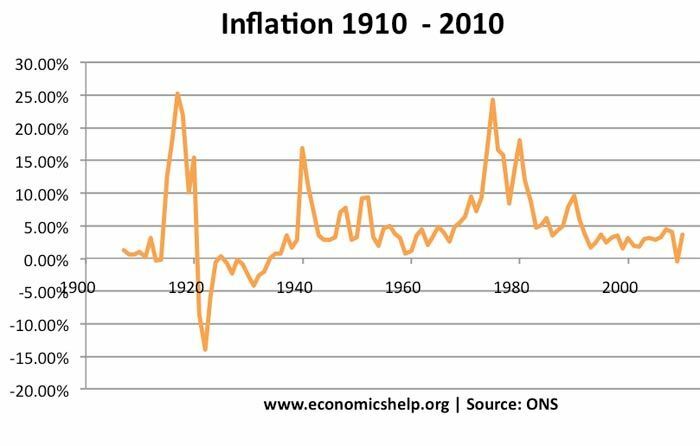 Faced with reparations from the Allies and a broken economy, the Weimar government started to print more money this led to the rampant inflation of 1922 and 1923. Money in Germany became worthless – people had to get paid twice a day because money decreased in value by the hour. People needed wheelbarrows to carry sufficient cash to pay for goods. There are apocryphal stories of people leaving the money, but stealing the wheelbarrows. In effect, the monetary authorities are paying towards the national debt by printing money. However, they argue this is not their intention. – When the economy recovers, they will reverse the quantitative easing and sell back the bonds. Also, in a recession, in a liquidity trap, printing money may not be inflationary. The reason is that there is a fall in the velocity of circulation. In other words, there may be more money in the economy, but banks don’t want to lend it. Therefore despite increasing the monetary base, it doesn’t lead to an increase in bank lending and aggregate demand; therefore inflation stays low. But, in normal circumstances printing money does cause inflation. Printing extra money over a period of years does not matter so long as the addition to the money supply is about the same as the expansion in the real economy. Expand an economy by 5% and that economy will probably need 5% more money to lubricate it (other things being equal). An interesting aspect of the 2008 credit crunch is that the conventional way of boosting demand (reducing interest rates) is singularly inappropriate because this would increase borrowing and it is precisely excess borrowing that has got us into the mess. So what to do? The answer is print money. This could easily be inflationary a year or two down the road, but this problem can be countered by various means: e.g. banning 100% mortgages, tighter bank regualtion (something that will come anyway). Willem Buiter (ex member of the Bank of England Monetary Policy Committee) favours banning mortgages of more than 80%. Would printing money affect the valueof the pound against other currencies? I understand that printing money to pay for goods brought is not to good and it will make things more expensive in the long run, but what if its not use on the high street and just used to pay off the IMF and other major creditors. 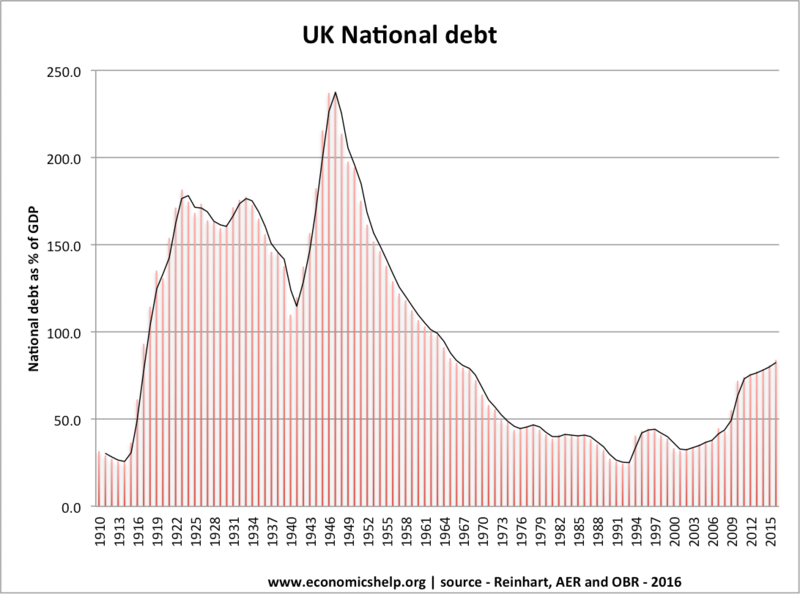 This is not going to effect the chain of supply and demand, if once your back to zero creditors and keep a tight hold on public spending? If I am not mistaken, the money lent to federal governments by reserve banks is created electronically out of nothing. It is then destroyed when it is payed off. By printing money and using it only to pay off debt owed to reserve banks such as the Federal Reserve in the US. This theoretically would not increase the money supply. I think it’s void to heal inflation with inflation i.e by supplying money at lower interest rate or stupidly printing more money! Let’s set ourselves at ground zero with no money, just as an example, and then let the Reserve exchanges say $1000,000 @ 10% interest with Govt bonds. How the hell on earth are we gonna have that only printed million notes into million and hundred thousand? THE MAKING OF THE FIRST $1000,000 IS DEBT AND THE $100,000 IS DEBT ON DEBT. AND TO COVER UP THE SHORTAGE OF NOTES OF THE DEBT OF DEBT, THE RESERVE WILL HAVE TO MAKE A NEW EXCHANGE WITH THE GOVT THAT WOULD ACTUALLY BE DEBT ON TWO ACCUMULATED DEBTS. We can’t stop inflation unless we abolish interest! Isn’t the government (of UK) already printing lots of money? And if it is not to pay off their debt, why are they printing more money? In addition, the pay freeze has forced people to save and not spend, so inflation should in theory be slowing (which is not), why is it not?